Chequered Flag International is pleased to offer this 1974 BMW 2002 tii in Silver with Black interior. Excellent straight, rust and accident free, body with very good paint. 02281 miles shown on the five digit odometer. Original paint under hood and in door jambs. Four speed manual transmission and factory A/C. Looks very original under the hood with its original matching numbers engine. Period alloys, blue cloth recarro seats, aftermarket steering wheel with an otherwise original interior. Nice carpets, door panels and roof liner. Mechanically seems very good. Strong engine, no smoke on start up or under load. Good syncros and clutch. Nice brakes, no pull and straight steering. 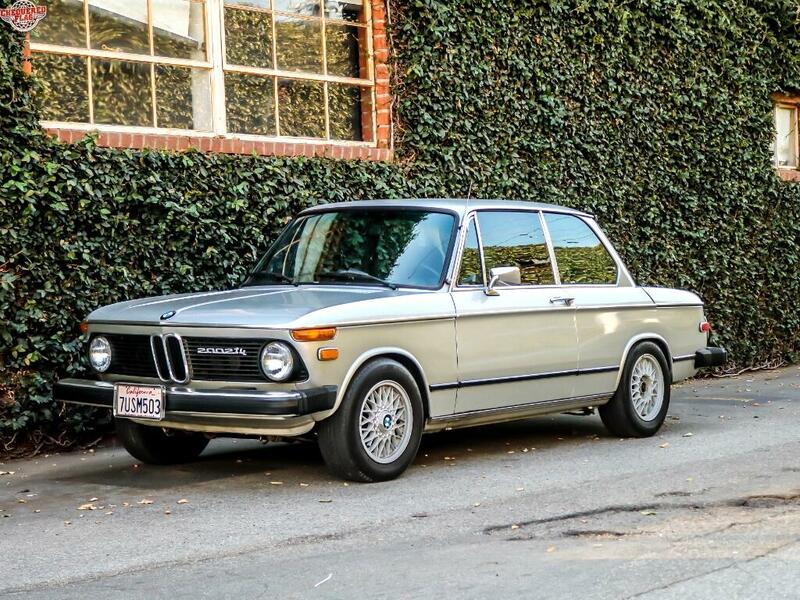 This is an exceedingly honest and mostly original tii. We have just fitted new Vredestein tires all round. Comes with its books and tool kit. Inspections encouraged. All sales AS-IS. Sales tax and license fees due if delivered in California.